Eliza: Thanks a lot for your answer and for agreeing to help me! I'm doing a guide about "How to do stopmotion animation", and I was reading your site and it has such a wonderful information about the technique (I specially find really useful and interesting the essay about pros and contras of cg, and the aesthetics of stopmotion) and the way you've been experimentating with armatures. Why did you choose stop-motion? 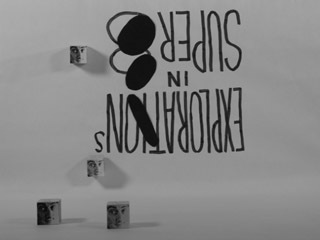 Sven: Stop-motion is something that I've wanted to do since I was maybe 6 years old. 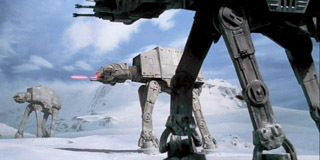 I read books about animation and special effects because I was in love with Star Wars and films like it. But animation seemed impossible then. I just couldn't see myself shooting on film and then having to send it off for developing. In 2002, one of the books I'd read as a child — The Animation Book, by Kit Laybourne — was republished with new material about computers. Suddenly it dawned on me: all you need now to do animation is a computer — and I've already got one of those. So I started doing motion graphics and kinestasis using AfterEffects. But it still felt like something was missing. I enrolled for a hands-on class about shooting Super8, so I could say I'd at least tried using celluloid. In the process of doing that, I finally got my chance to try stop-motion. And when I did, I was hooked. It was like a fever. 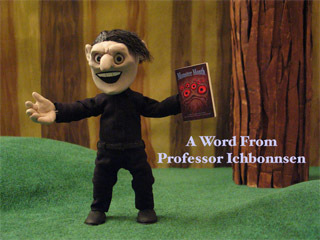 For at least a year, it seemed like I did nothing but study stop-motion and experiment with puppet-making materials. I could talk about the various things I love about stop-motion — how you're making real, tangible objects come to life (magic!) — but the attraction goes beyond reason. I bonded with stop-motion at a young age, and late in life am unable to shake its gravitational pull. I fell in love with Star Wars, King Kong, all of Ray Harryhausen's films... There's a lineage there, that goes from Willis O'Brien to Uncle Ray to Phil Tippett. But while the sci fi / fantasy stuff is ingrained in my bones, it's actually the more stylized, artsy puppet animation that I'm interested in making myself. There's another lineage: which goes from Vladislav Starevich's The Cameraman's Revenge to George Pal's Puppetoons to Henry Selick's The Nightmare Before Christmas. In the current scene, I'm most inspired by folks like Jeff Riley (Operation: Fish), Neil Burns (The Nose), Nick Hilligoss (L'Animateur), and Barry Purves (Tchaikovsky - an elegy). From where do you take inspiration for a new story or character? what comes first for you? I'm very interested in process. Story and character are important, but pretty much everything I've done so far has begun from wanting to tackle a specific technical challenge: such as lipsync or replacement faces. Time has also often been a consideration — challenging myself to make a film in a set number of days or weeks. I find that by starting with the limitations I want to obey, I'm less likely to get sucked into attempting a project that's too big to be completed in a tolerable amount of time. While making the puppet, what are the most important things you consider? A puppet is only as good as its armature. To get really nuanced movement, you want to have a ball and socket armature. So I've spent a lot of time learning how to create professional-level steel armatures using a milling machine and lathe. 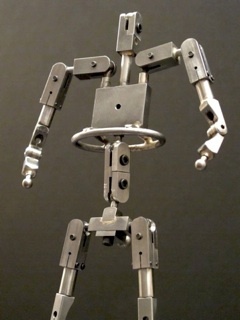 Armatures are interesting to me as an art form unto themselves, though. Most puppets I've actually animated — and truth-be-told, the majority of puppets in professional studios — have wire armatures. Frankly, the benefit of being able to create a puppet quickly is usually more important than having one that's perfect. Besides the armature, I also want puppets that have a very sculpted look. With build-up puppets, you can do a lot with hard body parts made from Super Sculpey or epoxy clays (such as Magic Sculpt, Milliput, or Apoxie). Given the look I want, though, I'm naturally drawn to mold-making and casting puppets in foam latex or silicone. I've had some successful experiments, but am still in working on really learning the skills. What materials you prefer to use and why? Every material has a place in the puppet-maker's toolkit. A puppet's head might be made from polymer clay in order to gain more working time while sculpting — whereas the hands and feet might be made of quick-curing epoxy (much stronger) to avoid being broken, since they're so close to high-stress joints. For humanoid puppets I like to use hard parts whenever possible, so that I don't have to fuss with re-sculpting soft clay mid-shot. But, on the other hand, I also like working with clay on its own terms. 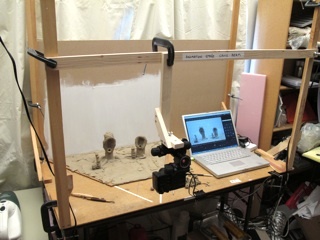 I think that animating with clay can be like having a 3-dimensional sketchbook... It allows you to improvise and explore ideas in ways that build-up and cast puppets don't. For any kind of artist, I think it's important to make improvisation a regular practice. Make elegant puppets — but also play with shapeless blobs. Ultimately, I think it's good to avoid getting stuck in one set of materials; you should strive to have all of them at your disposal, and know which is right for a particular job. In your point of view, how does social media and technology influence modern stop-motion animation? Stop-motion has undergone a technological revolution in the past 15 years. With the advent of frame-grabbing software, animators have the ability to toggle back and forth between frames, making sure that they're getting the shot they want. Before this, animators used tools like surface gages (many still do) — but mostly had to rely on sheer mental focus to keep track of what bits were changing between shots. Subtle stop-motion is still challenging — but far easier now that you can check your work before committing. 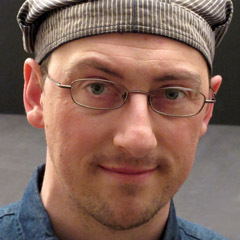 The internet and forums such as StopMotionAnimation.com and AnimateClay.com have also played a huge role in stop-motion's renaissance. It used to be extremely difficult to find good information about how to make our specialized puppets. Now there's an active online community where masters and amateurs co-mingle, solving problems and learning from one another. Some of the magic may have been lost in the process of revealing the art form's secrets — but as a result, an art that once seemed on the brink of extinction is prospering again. I think stop-motion is particularly suited to communal discussion, too. With computer animation, it can be challenging to explain what's going wrong with your software. Stop-motion, by contrast, is all about craft projects. "Show and tell" is much more intuitive when you're working with real, tangible materials like clay and wire and foam. The web is a godsend for stop-motion animators as people. It's difficult enough to find in-the-flesh communities of animators. When you do, stopmoes are usually a minority. Being able to Google "stop motion" and find a bunch of people doing the same sort of work breaks the isolation — and then allows friendships to form. My most valued circle of stopmo friends is made up of individuals living in Los Angeles, San Diego, New Orleans, Atlanta... While I'm all the way up here in Portland. We keep up with each other via show-and-tell on our blogs, through "hey, have you seen this?" emails, and the background noise of Twitter. We've kept tabs on one another during hurricanes and earthquakes, when there's a medical crisis, or when someone just goes missing for a while. ...But of course, that story of "internet relationships extending into the real world" has been true for many types of online affinity groups, not just our own. Technologically, the most curious thing to me is seeing stop-motion beginning to become indistinguishable from computer animation. 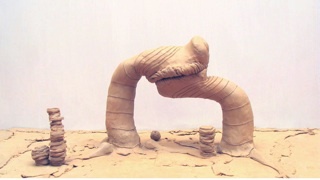 The advent of rapid-prototyping 3D printers means that objects for stop-motion are being created first in the computer, then translated into real sapce. Motion control cameras allow dizzying moves that were the sole purview of CG not long ago. When Coraline came out, the stop-motion community seemed torn about how to feel... On the one hand, the technological accomplishment was unprecedented. On the other, the quirky jerky movement usually associated with our hand-made films seemed to be disappearing. Since Coraline, rapid prototyping technology has spread rapidly among professional stop-motion studios... And it looks like LAIKA's follow-up to Coraline — titled ParaNorman — will push the limits of technology even further. I have no crystal ball — but it seems like in the near future, most of what CG can do (with the exception of large crowd scenes) will be able to be accomplished in stop-motion with nearly identical results. Then what? ...Frame-by-frame hand-drawn animation has been on the wane for a while — perhaps it will have a resurgence. We crave uniqueness. Just as with stop-motion, what's currently being ignored will soon start to look fresh and new.